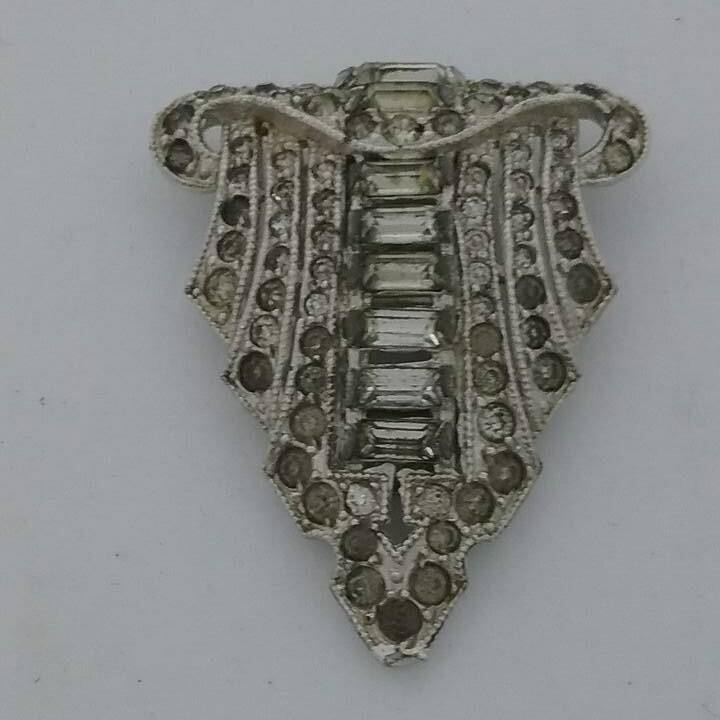 Vintage dress clip. 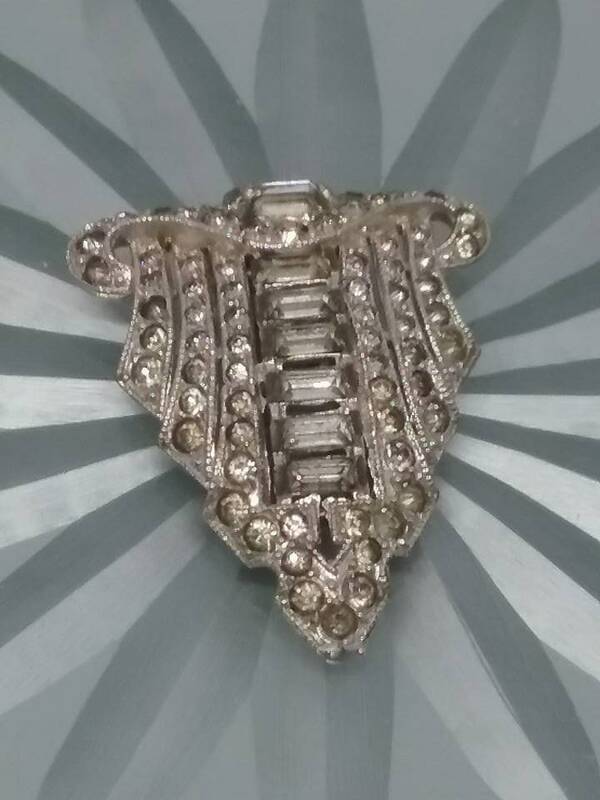 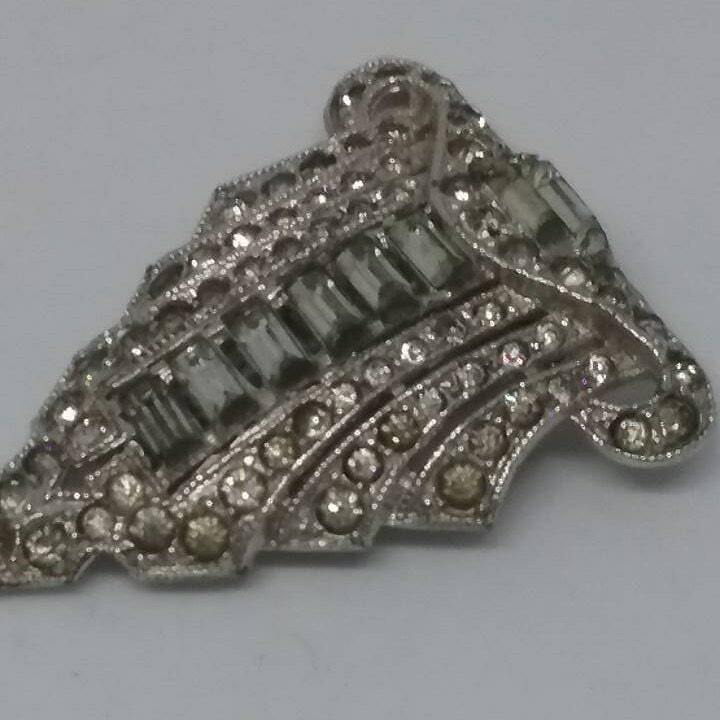 Gorgeous clear rhinestone dress clip. 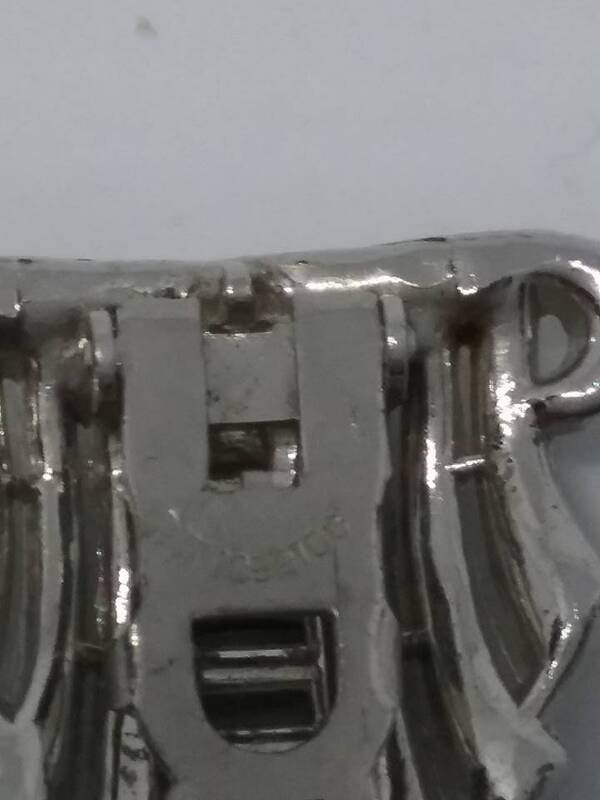 Patent # is marked on clasp 1852188 (clasp is loose) which is dated a Phinney Clasp 1931. 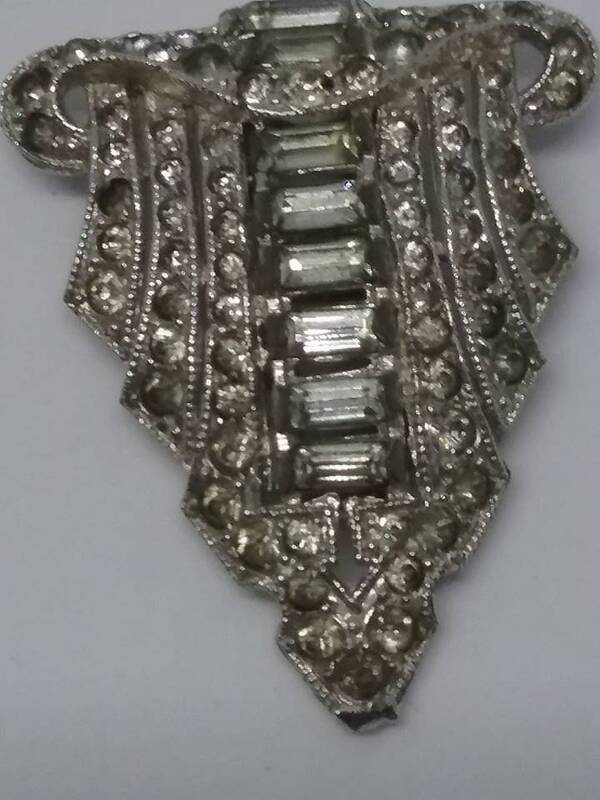 This dress clip is in very good-excellent vintage condition for its age (with exception of loose clasp). 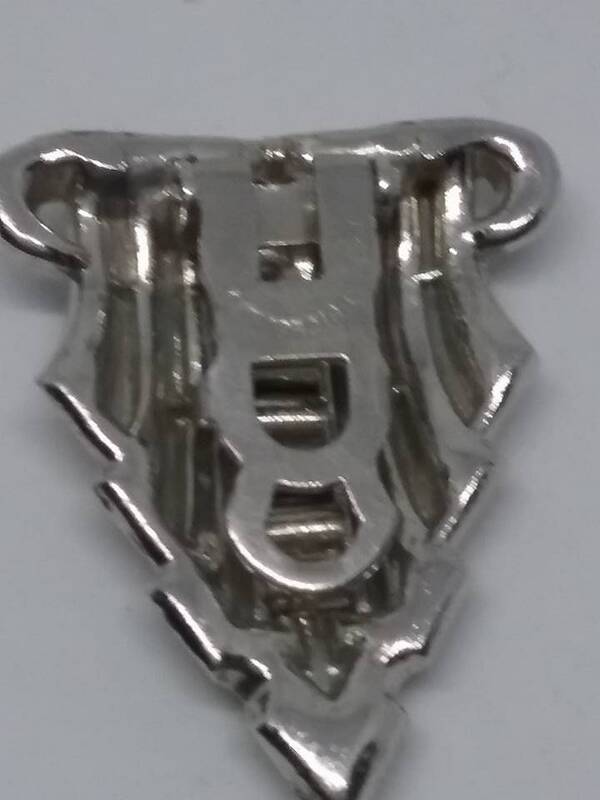 it is priced accordingly. 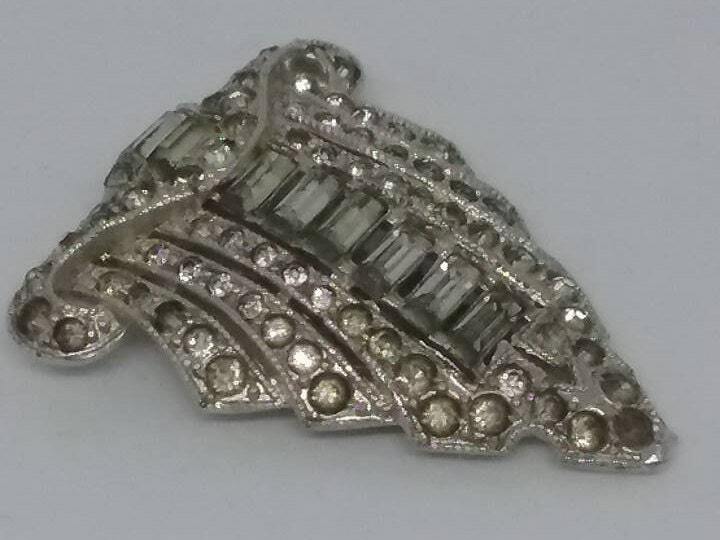 It remains a reminder that costume jewelry was just as stunning during this time of the Great Depression .